The MBW Review offers our take on some of the music biz’s biggest recent goings-on. This time, we dig into the key numbers surrounding EMI Music Publishing to see how it would have affected Sony’s status as one of the biggest music companies on earth last year. The MBW Review is supported by Instrumental. 2017 was a gangbusters year for music publishing acquisitions – with over $700m transacted across the sale of SONGS (to a Kobalt-managed fund) and Imagem (to Concord Music) alone. 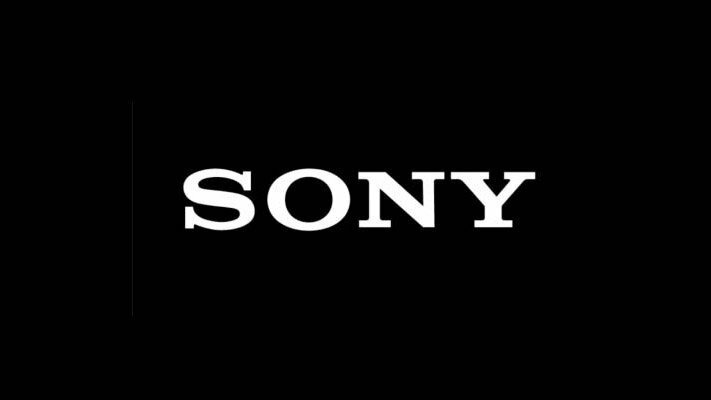 Last week, we learned that Sony Corporation has agreed to pay $2.3bn for a further 60% stake in EMI Music Publishing – a fee which will be partly funded, we assume, by the near-$1bn net gain it expects to absorb from the sale of its Spotify shares. The EMI deal, if it gets through European regulators, will give Sony 90% ownership of EMP – valuing the latter company, when debt is factored in, at some $4.75bn. That, to put into perspective the rampant nature of the current music rights market, represents a 19-times multiple on EMP’s EBITDA of $249m in the 12 months to end of March 2018. It also represents a 26-times multiple on the $181m operating income the firm posted in the same period. But where does the buyout promise to leave Sony in terms of its market power? In short: as global king of music publishing – but not quite global king of all music rights combined. Before we begin the mathematical fun below, here’s the key stat: according to Sony Corp’s announcement last week, EMI Music Publishing generated revenues of $663m in Sony’s FY2017 – ie. the year to end of March 2018. 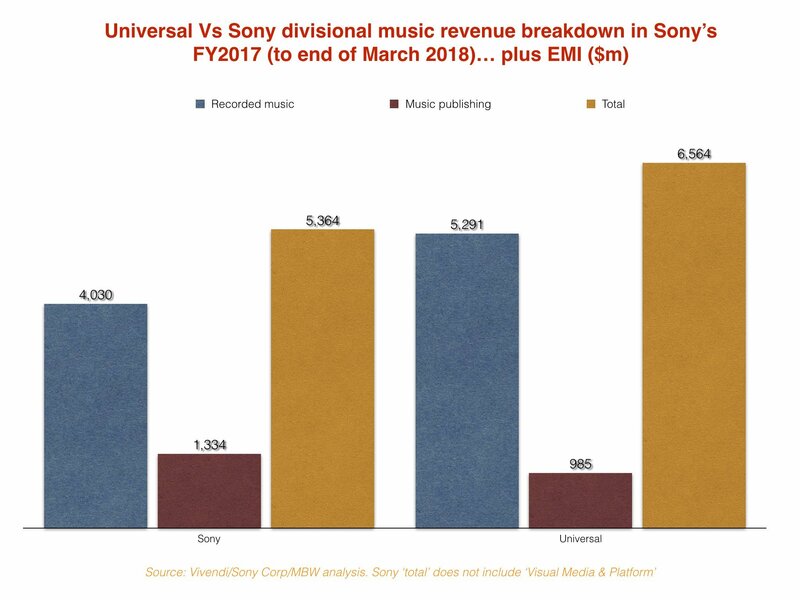 In short, here’s how Sony’s recorded music, music publishing and ‘Visual Media & Platform’ divisions did in revenues terms in its last FY, judged in USD. 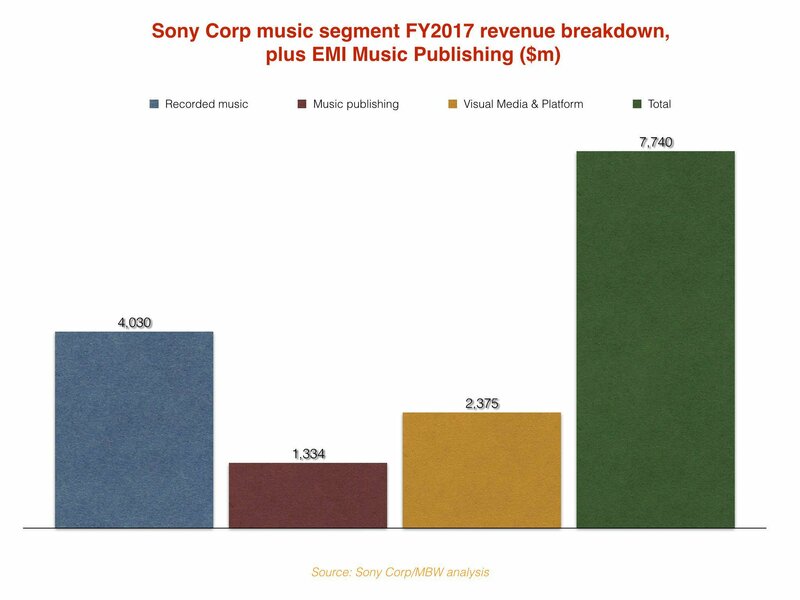 And here’s how the revenues of Sony Corp’s music division would have looked in FY 2017 (again, to end of March this year) had the company owned the revenue from EMI Music Publishing in the period. 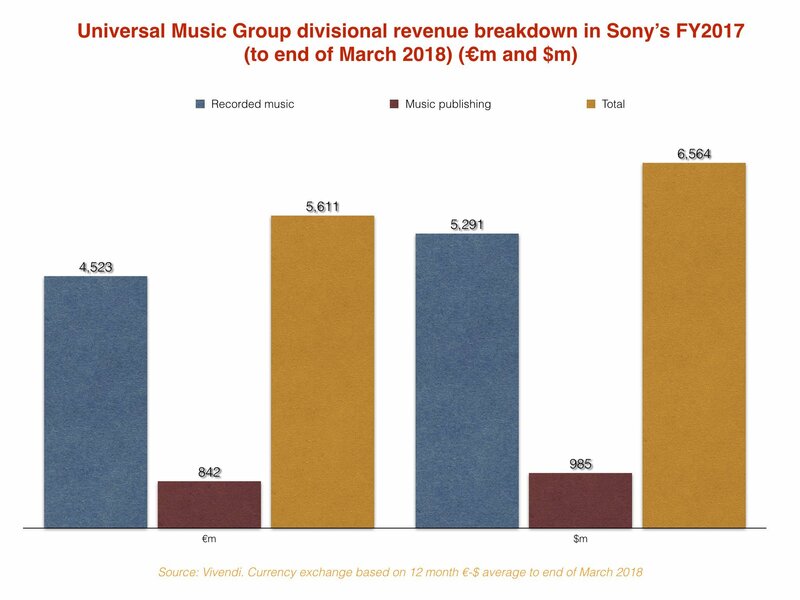 Let’s take a look at how Vivendi-owned Universal Music Group’s revenue (in USD, converted from Euro) performed in the same period as Sony’s FY2017 – ie. the 12 months to end of March 2018. And, drum roll… now let’s put UMG and Sony side-by-side. 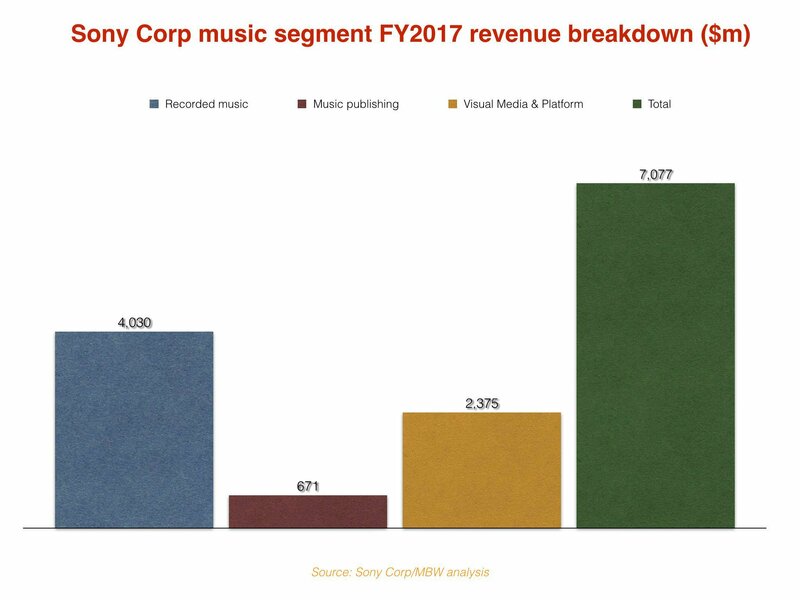 Below you can see how the two majors would have compared in Sony’s FY2017 – both in terms of what each company’s music operations actually turned over, and what Sony would have turned over had it also included EMI Music Publishing’s sales. However, it wouldn’t have been enough to stop Universal’s total global sales (again, across publishing and records) being $1.2bn bigger in the 12 months, at $6.56bn. The controversial bit: Sony Corp may claim that ‘Visual Media & Platform‘ is a key part of its Music segment, and should therefore be included in these numbers (despite it not having very much to do with music). 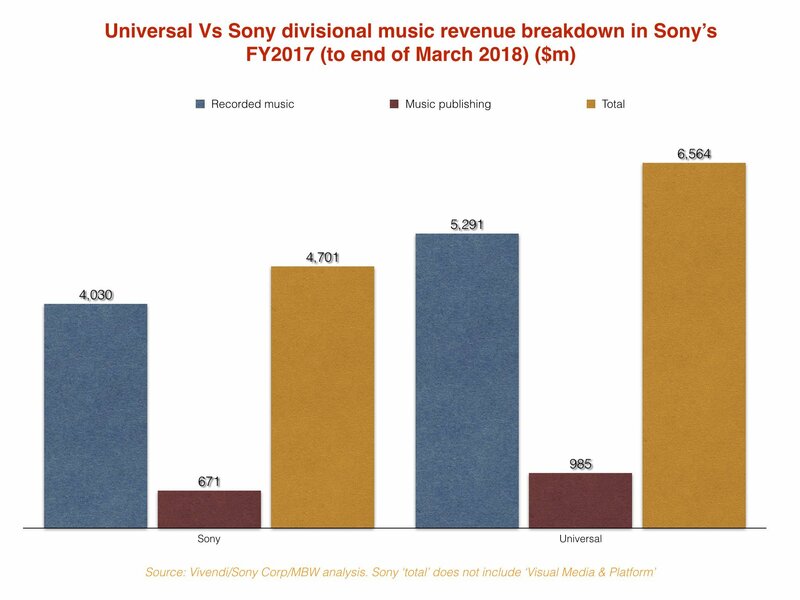 If VM&P numbers were added into the above, Sony’s ‘music’ division would have ended its FY2017 with $7.74bn turnover – almost $1.2bn bigger than Universal’s haul in the year. In order to achieve an apples-to-apple comparison, both Sony and Universal’s performance in the 12 months to end of March 2018 have been converted out of their root currencies (Yen and Euros, respectively) at prevailing annual exchange rates. In Sony Corp’s case, this was taken from the Japanese company’s own FY year-end financials, which suggest a $1 = ¥110.9 annual rate. In Vivendi-owned Universal’s case, this was taken from currency specialists OANDA who, for the 12 months to end of March 2018, calculated a rate of $1 = €1.17. This isn’t a perfect system – not least because of some heavy movement in currency quarter-to-quarter in calendar Q1 this year. But it’s a good approximation, and allows a direct annual comparison of the two companies. The above analysis refers only to corporate level results – on an industry level, as an admin partner, Sony/ATV already counts EMI’s performance in its market share. The MBW Review is supported by Instrumental, which powers online scouting for A&R and talent teams within the music industry. Their leading scouting platform applies AI processes to Spotify and social data to unearth the fastest growing artists and tracks each day. Get in touch with the Instrumental team to find out how they can help power your scouting efforts.